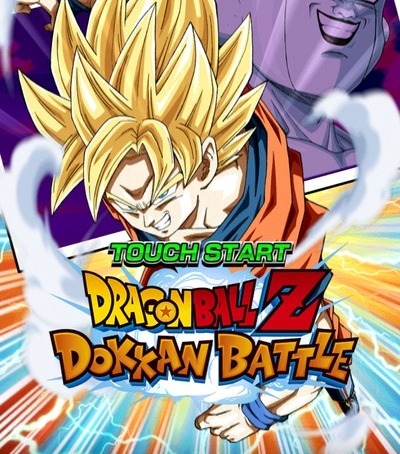 Welcome to the Dragon Ball Z Dokkan Battle guide! 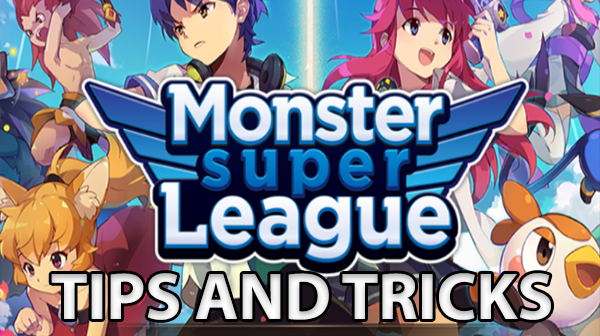 I will be giving you some basic and advanced tips to help you progress through the game! Always use this to your advantage as you will do bonus damage by using the class that is stronger. If you ever forget, the chart is always at the top right corner during battle. The map is somewhat like monopoly, where you get to move 1 to 6 steps on the chess board. The moves are random and you get to make 3 different step choices. There will be items you can pick up, battles to encounter and roadblocks to avoid. Blue Capsules – This are support items. You can get hp recovery, reduce opponent’s defense or change ki color. Red Capsules – These contain training items to level up your characters. Purple Capsules – Contains medals that is used to awaken your characters. Power Up Icon – This will improve your characters ki by a small amount. It is random who they give it to. Grey Coin – You will get Zeni for landing there.
? – This is a random event and you can get anything or you can also take damage. Aiming Icon – Avoid these. You will take damage when you land on it. Yellow Cloud – This takes you to the next area. Boss Battle – This is the final boss of the map. You cannot avoid this battle. Some battles can be avoided but most of the time you will want to take on your enemies to gain more experience. Before entering battle, you can choose allies to team up with you. It is important to choose a team that is strong against the bad guys you are facing. During battle, you will see a huge number of spheres of various colors in front of you. Your goal is to match as many similar color spheres to the color of your character. 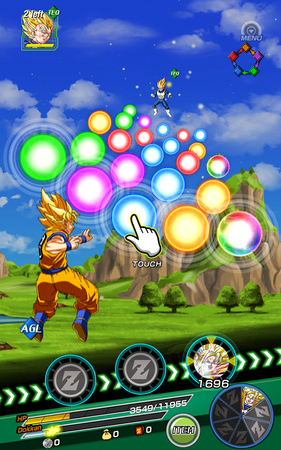 Goku is AGL(Blue), so you will want to match as many blue spheres as possible. If you are not sure how many you can match, you can touch the first sphere and it will show you how many it matches. You can match up to 5 spheres. The multicolored ones work with any color, so be sure to match them well. When you fill up your power meter, you can unleash a very powerful attack that does a lot of damage. This can be done by collecting many spheres in the least amount of turns. Some characters fill up their meters quicker than some others. You want to have Trunks next to someone else with at least one of those Link Skills when possible in battle. Every Trunks card has all three these Link Skills, meaning if you have one Trunks card next to another, it will proc all three Link Skills. Always keep in mind you can change the order of your team. Use that to your advantage when you don’t have any matching spheres to your character. As you can see, the game stresses a lot on linking characters and positioning. We will be going over some things you need to know in regards to position and turns according to koalasan_z. Position 1 and 2 characters will return to battle in 2 turns while position 3 character will return in 3 turns. What that means is that you want to place your best 2 attackers on positions 1 and 2 while you place a less offensive character on position 3 since they don’t appear often. Also, position 3 can only link up with position 2. An +Ki or -Atk leader is preferred on position 3. The bosses from early campaign maps are pretty easy. However, once you progress to mid game and also doing special events, you will want to learn some strategies against bosses since they do a lot of damage. Blocking Boss Attacks – This can be done by having the correct type against the boss. The recommended number is at least 5. You need all three position 3 to be the correct type to protect the 3rd position get it gets attacked. You can switch position 1 and 2, so they can be protected easily. Focus on getting special attacks on your strongest character. The damage multiplier favors one strong special attack vs 5 weak ones. 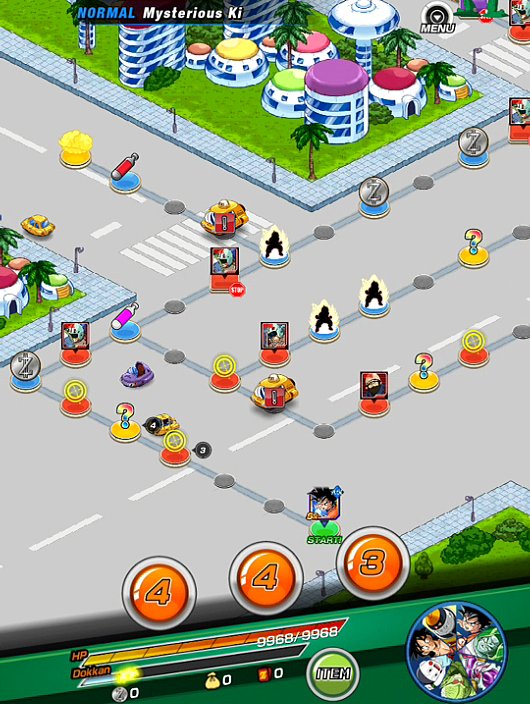 You can level up and train your characters from battle and also feeding unused characters to your main characters. Feeding the same color character will give bonus experience. You can also switch training spots. When your character hits max level(20/40/60), they will not be able to get any stronger. However, you can awaken them and gain bonus stats by collecting the necessary medals from campaign maps. If you want to know where to find the medals, you can check out this awesome guide here. There is the dragon stone summoning and the friend stone summoning. Dragon stone summoning gives at least rare characters. 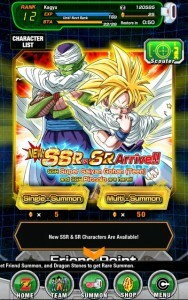 Multi summoning doesn’t give you any additional bonuses, so it doesn’t matter.Friend stone summoning usually gives normal characters with smaller chances to get rare characters or higher. The easiest way to get Dragon stones is your wallet. But you can also collect 1 dragon stone for every campaign mission you complete for the first time. For more character info, you can check out the DBZ Dokkan Battle wikia. Don’t use your dragon stones for reviving, it is a wast. You can re-roll by deleting the game starting over when you are given your first pulls. Repeat until you get an SSR character. This takes time, patience and luck. The units max level depends on its rarity: N -> 20, R -> 40, SR -> 60, SSR -> 80, UR -> 100. Run Hercules Zeni event on weekends as you will need as much Zeni as you can. Spending dragon stones on box space is a good idea once you have a solid team going. I really wish that they would tell us how to get some purple stones. You have to purchase the 39.99 Dragon Stones during the 3rd anniversary. It’s the only way to obtain one.